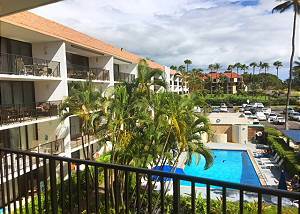 Maui Parkshore's cozy condos for rent and their proximity to the beach make it a popular Kihei destination. Book while you can! 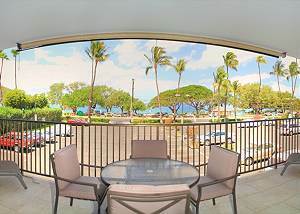 Maui Parkshore's two bedroom, two bath units will surely meet your expectations. Each condo rental unit includes cable TV, fully equipped kitchens, and in-room laundry services. You will also have your own private lanai to enjoy dining outdoors in the tropical climate and experiencing once in a lifetime sunsets. This beautiful vacation getaway boasts an oceanfront swimming pool for you to cool off in and an outdoor barbecue area on property for grilling in paradise! End the day grilling for the family as the kids soak up the last few rays playing in the pool or somersaulting on our lawn. 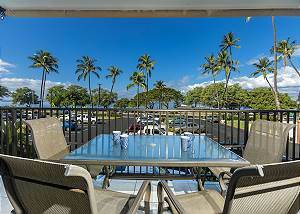 Being located in Kihei gives you a great vantage point to have your best vacation yet! You are easily able to roam around town and explore the various shopping, dining, and activity options Maui has to offer. We are also adjacent to the Kihei Boat ramp where varied boat and rafting tours depart from. With superb surfing, snorkeling, and paddle boarding all within walking distance, an awesome Maui vacation is almost a guarantee! 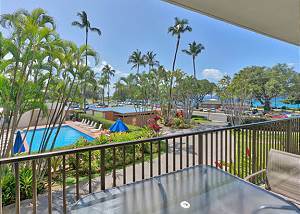 Maui Parkshore will be the Hawaii island vacation accommodation you wish you had discovered earlier! This location and our well-appointed condo units will welcome you home after your day of exploring all Maui has to offer. Come join the Maui Parkshore Ohana and bring your family to become a part of ours. Make Maui memories on your trip of a lifetime at Maui Parkshore!